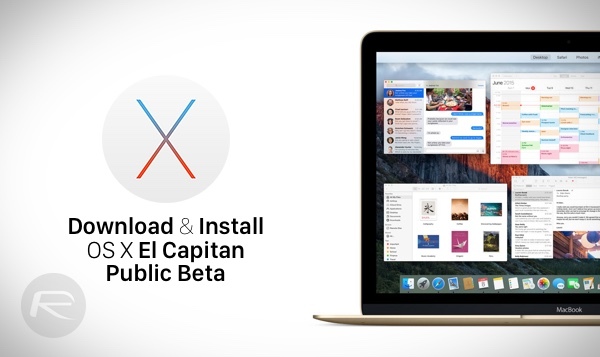 Apart from iOS 9, Apple has also made OS X 10.11 El Capitan Public Beta available to users who are daring to try it out. Just like iOS 9 Public Beta, the steps for installing OS X El Capitan are simple to go through, and we have them all outlined right here along with screenshots. Important Note: This version of OS X 10.11 El Capitan is a beta release. Performance, instability, battery life drainage and other issues are common with beta releases. We’ll recommend installing this on a spare and test device only. DO NOT install the beta on your main computer. You’ve been warned. Step 1: Head over to the beta.apple.com. Step 3: Enter your Apple ID credentials to sign in. 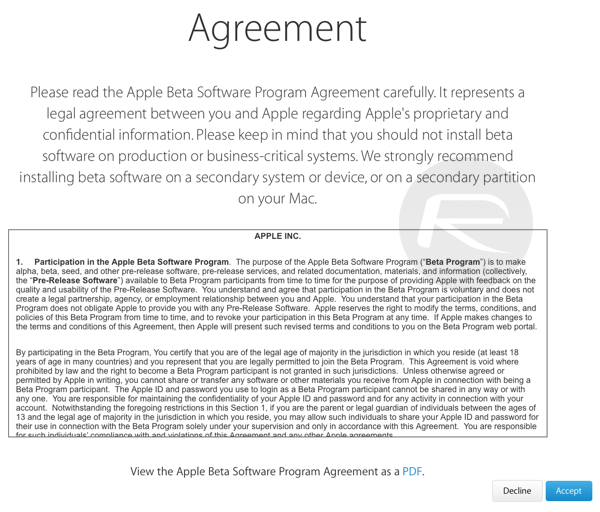 Step 4: You will now be asked to accept Apple Beta Software Program Agreement. Click on Accept. Step 5: It’s time to enroll your Mac into the Apple Beta Software Program. Simply click on the ‘Enroll Your Devices’ button on top of the Apple Beta Software Program website. Step 6: Scroll down and click on the blue ‘Download OS X El Capitan Public Beta’ button, which will open up the Mac App Store. Make sure you note down the ‘redemption code’ underneath it. 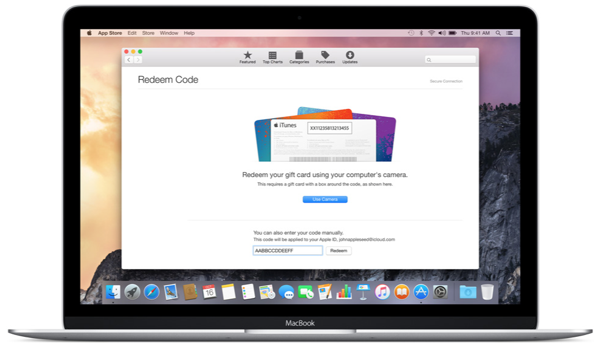 Step 7: Enter your redemption code in the small box below the ‘Redeem Code’ page. Click on ‘Redeem’ once you’re done. If everything was performed correctly, then the OS X 10.11 El Capitan Public Beta installer will begin downloading. You can check its progress by either bringing up Launchpad, or by clicking on the ‘Purchases’ tab in the Mac App Store. All of the subsequent Public Beta builds of OS X El Capitan will be pushed through the Mac App Store here on in. Hence, whenever the second Public Beta release of OS X El Capitan is available to download, just launch the Mac App Store, click on the Updates tab, and update away. 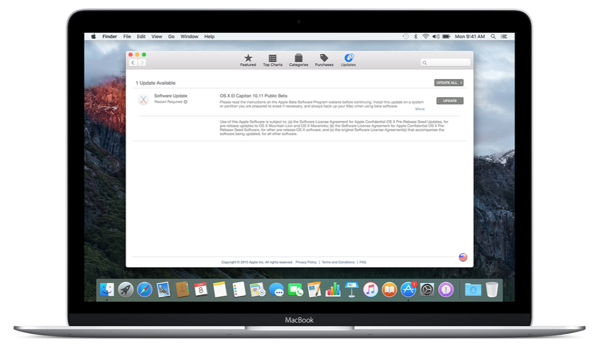 For details on how to install and dual-boot OS X El Capitan with Yosemite on a separate partition on your Mac, then be sure to read through this guide: Install And Dual-Boot OS X El Capitan With Yosemite On Separate Partition [Tutorial]. If you’re interested in installing iOS 9 Public Beta instead, then follow our detailed guide posted here: iOS 9 Public Beta: How To Download And Install Right Now [Tutorial]. EI ?? No, correct me if I am wrong. According to Apple.. Its E1 Captain. Not an I. Its number. Nope. It’s El (as in EL) Capitan. EL is Spanish for “The” and this build is named after a rock formation in Yosemite Valley, called EL Capitan. I know what it is in Spanish. Oh I see. Spanish language everywhere in America. Oh boy. How can I get a new redemption code. I had to abandon my installation, but now I can’t continue it. Thank you for your advice. There’s a denial of access for a lot of cheap սոⅼοсkings with the AT&T data base, that makes the most of the 3rd party ՍΝᏞΟᏟΚing sites incapable of ՍΝᏞΟᏟΚing AT&T anymore. However, there are still sites that can սոⅼοсking it, just google atttiphoneuunlockingis among us, go find out more, it’s the site I have already been using for 6 of my phones after the database shut down. Hi! Were you able to find a workaround? I’m having the same problem. GM Candidate is downloading now but I still am on Yosemite and have found a dead end on installing Public Beta 1 fresh as I’m always prompted with code has been redeemed already.